"Humor is your own smile surprising you in the mirror." You know you’ve done it. Maybe you were singing into your hairbrush in the bathroom. Maybe you were trying on a ridiculous hat at Wal-Mart. You suddenly catch sight of yourself in a mirror, and start laughing at the sheer silliness of it all. Maybe you also feel a bit foolish for a moment, but, come on, admit it. You go away feeling just a little better about life. If you haven’t tried it, you really should. Life is too short to be taken seriously all the time. There is a two-lane highway that I frequently take when I go out to the farm. One day I noticed that they had been tarring cracks. Suddenly I came across a huge tar smiley face across both lanes. It was so totally unexpected, and struck me so funny, that I laughed all the rest of the way to the farm. 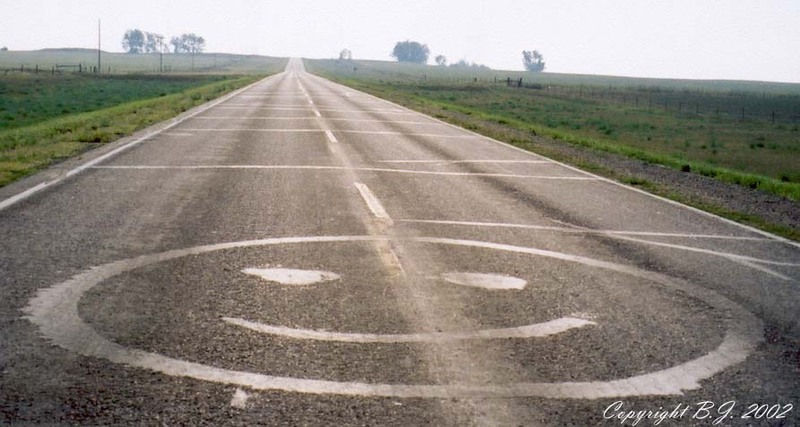 Ever since then, I watch for the smiley face every time I drive that road, and it always makes me smile in response. I have never been a smiley person. Way back when I was a child my uncle declared that I had a “million-dollar smile”—so valuable because it was seen so seldom. But I developed a wicked sense of humor just the same, and I laugh out loud in recognition when I run across somebody who sees the world in the same warped way I do. I definitely smile more now than I did as a child. I probably smile more now than I did as a twenty-something young adult. Because I have learned that, frankly, life stinks, and the only way to make it bearable is to search out and cherish the flashes of humor, the ridiculousness of the human condition. I think that is something we’re supposed to learn to do as we grow throughout our life. It balances out the negativity the world heaps upon us. And when you think of how little humor there is compared to the misery, and how much better any little tidbit makes you feel anyway… Wow, that’s powerful! Someone once said that of course God has a sense of humor. He created giraffes, didn’t He? He also created that irresistible urge to hop on the back of a shopping cart and go sailing through the parking lot at the grocery store. Go for it! You’ll not only make your day, but also the day of everybody who sees you. Come on, you know you smiled!